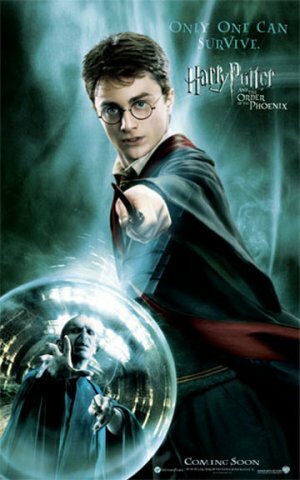 Over at JoBlo they have six new Potter character posters. They all follow the same pattern of the one above, showing one of the main characters together with what I’m guessing is a relevant enemy that character will have to face in the movie. I quite like these posters. They follow the same general aesthetic of the other Potter posters, but they seem to be more specific to the Potter 5 storyline. I think this will get the people who have already read the book more pumped for seeing it come alive on the big screen. And it will make the people who haven’t read the book (like me) curious. It’s a win-win situation. Go over to JoBlo to see the rest of them.